The casino measures 550,000 sq ft (51,000 m2). It has 4 themed gaming areas namely Golden Fish, Imperial House, Red Dragon and Phoenix. 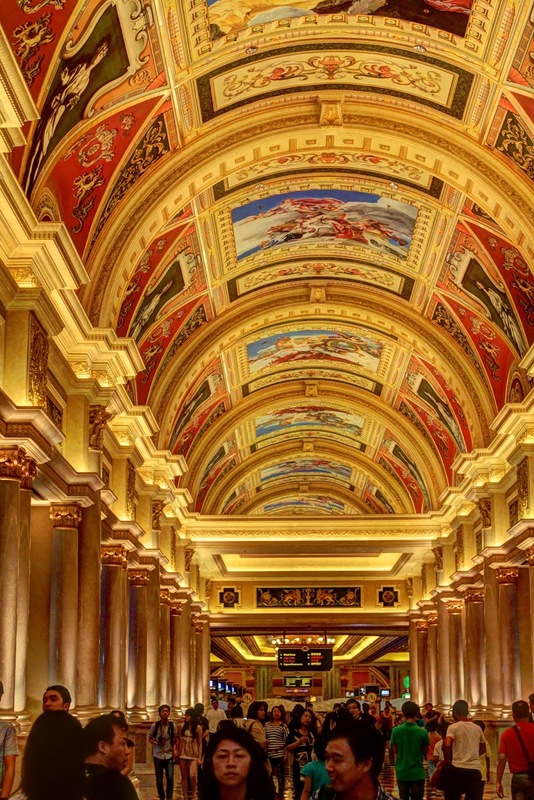 The casino consists of over 3400 slot machines and 800 gambling tables. The Ruins of St. Paul's (Portuguese: Ruínas de São Paulo, Chinese: 大三巴牌坊; pinyin: Dàsānbā Páifāng) refers to the ruins of a 16th century complex in Macau including of what was originally St. Paul's College and the Cathedral of St. Paul also known as "Mater Dei", a 17th century Portuguese cathedral dedicated to Saint Paul the Apostle. Today, the ruins are one of Macau's most famous landmarks. In 2005, they were officially enlisted as part of the UNESCO World Heritage Site Historic Centre of Macau. 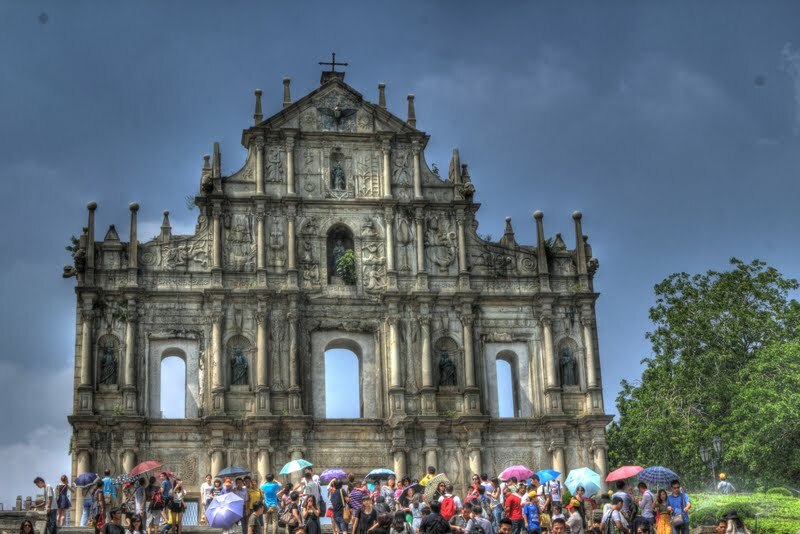 The ruins is the famous icon of Macau. Entering the ruins and walk further in, you can find a free of charge underground crypt that you can go in. There are 2 levels, you can view it from upstairs, or up close at the bottom. They limit entrance when it is crowded. Right behind the ruins, you'll notice a steel stairway that allows tourists to climb up. People say if you throw coins through the top window, it will bring you luck.